Office painters can give your office the fresh coat of paint it needs to look its very best. Since business is conducted in your office, it is important that your office looks clean and professional at all times. Often, the appearance of your office is what gives people a positive or negative first impression. If the office has old, peeling paint and looks rundown, people might perceive that your business is rundown too and that you do not take your work seriously or pay attention to details. In order to give a positive first impression and to reflect the professional and capable impression you want to leave your customers and clients with, it is important to make sure your office look great at all times. Hiring office painters is the perfect way to freshen up your office space and make it look professional. At Prep-Rite Painting, we know how important appearances are. Our experienced office painters will make sure that the paint in your office looks nice and professional. We have over 24 years’ worth of experience painting and it shows in our meticulous work. We can paint both the interior and exterior of your building. 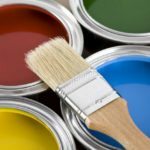 We will work with you to determine a color scheme that fits your office and also work quickly to make sure the painting is done as soon as possible, so you are not inconvenienced. If you are looking for quality office painters for your Raleigh, North Carolina area office, call us today at Prep-Rite Painting. We will work closely with you to make sure we are coming at a time that is convenient and that we do exactly what you had in mind for your office. At Prep-Rite Painting, our office painters proudly serve Apex, Cary, Holly Springs, Fuquay Varina, Chapel Hill, and Raleigh North Carolina.